Planning the perfect getaway to Port Aransas & Mustang Island just got much easier! The Port Aransas & Mustang Island Chamber of Commerce and Tourism Bureau is delighted to announce the Visit Port Aransas & Mustang Island Guide, an integrated mobile app that offers an interactive guide to help you plan your perfect island vacation. The user-friendly app provides a new way to explore everything Port Aransas has to offer, including upcoming events, popular restaurants, festivals, shops, nightlife, landmarks, things to do, and more. View it all at once, or search by categories. “By popular demand, we are very excited to introduce our App and allow our 5 million visitors to discover more of Port Aransas and Mustang Island and plan a more comprehensive and exciting vacation,” said Jeff Hentz, President and CEO of the Port Aransas & Mustang Island Chamber of Commerce and Tourism Bureau. 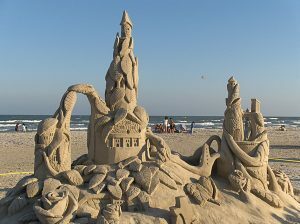 For listings of island accommodations, restaurants, shopping and activities, visit www.portaransas.org.